Roof leaks can occur at any time causing major headaches for businesses and customers alike. Without a roof leak water catcher, hundreds and thousands of dollars in valuable equipment can be damaged. Businesses may even find themselves having to close all trading until roof leak repair can occur. Temporary leak repair can also help to ensure that there is adequate prevention of slips, trips and falls. iQSafety has a comprehensive range of leak repair products to provide you with a solution. Roof Leak diverter kits come in differing shapes, sizes and even two colours to choose from. 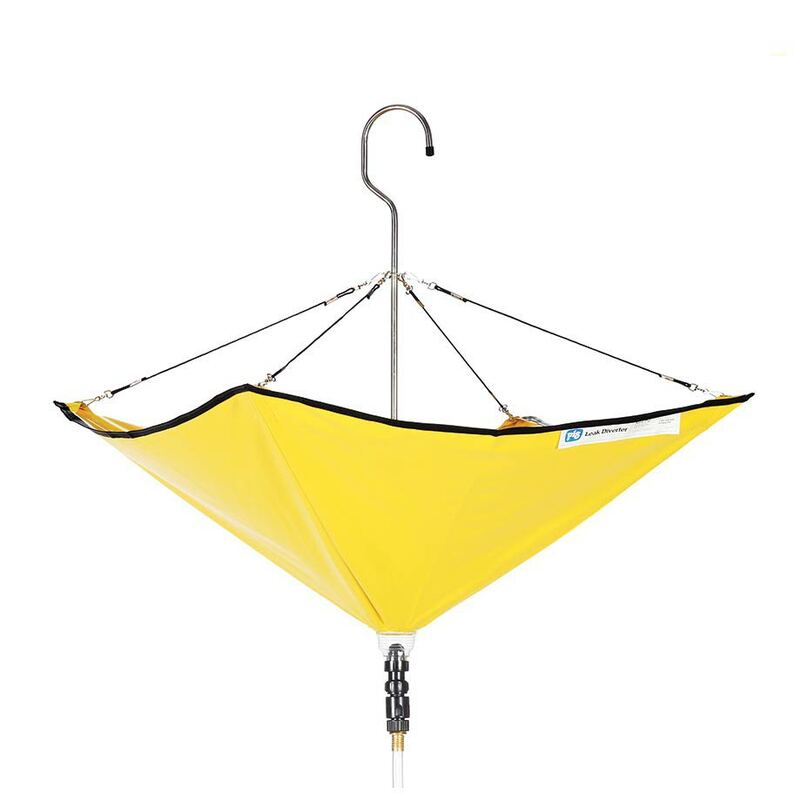 The roof leak diverter umbrellas can be deployed within seconds and time is money. The various roof leak tarp can be fitted to replace ceiling tiles or placed above the tiles in the roofs. The leak diverters can be left in place for long periods of time in leak prone areas or for quick response. Wherever you require roof leak diverters to save you time, money and business, you’ll find the range of solutions listed below. To avoid valuable assets getting damaged and equipment or people getting hurt from leaks occurring because of damage to roofs, choose from our range of roof leak diverters for the right solution. Damage to roofs might be avoidable but responding with the roof leak diverter is easy. Save time, save money and stop people getting hurt by getting advice by reading the FAQs below or getting in touch with our expert team. How long can the roof leak diverter stay in place? Our range of roof leak diverters are made from nonpermeable materials and vinyl coated giving them strength and durability. The advantage of our range of roof leak diverters is that they can be used for a long time because the materials resist punctures, mildew and UV. Will the Roof Leak Diverter Kit work if it’s heavy rain? The Roof Leak Diverter kits that iQSafety provides have a flow rate from 3785 millilitres a minute which is a capability that will give you peace of mind even under a heavy rain fall. Which Roof Leak Diverter should I use for my workplace? Most of our customers choose a combination of roof leak diverter kit solutions to help them in their businesses. The most popular leak diverter includes a PVC polyester diverter, a Quick Connect Drain Fitting and a hose. In other areas, that need a more permanent solution, the ceiling tile leak diverters are added. Can the Roof Leak Tarp divert all the way to my drain? iQSafety roof leak diverters have a standard hose connection of 19mm so that you can attach your own to get the exact length required or choose from our roof leak diverter kits which include the hose and will divert leaks from 3 metres to 7.6 metres. 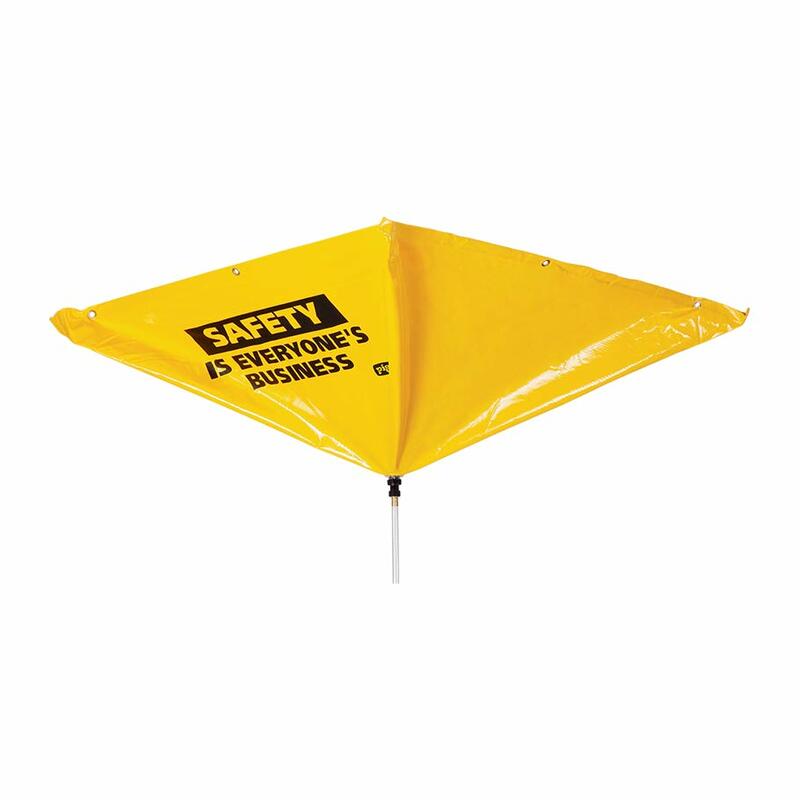 At IQSafety, we’re proud to offer the highest quality roof leak diverters to businesses around the country. Wherever you’re based - including Melbourne, Sydney, Canberra, Brisbane, Darwin, Perth, Adelaide, Hobart and everywhere in-between - we’re confident we have the spill kits and absorbent products to ensure you’re prepared for any situation.